Student loan repayment benefits have been a hot topic in the news over the past few years, and a recent IRS private letter ruling has the benefit back in the spotlight. Here’s what you need to know about the two types of plan designs that have emerged: retirement security-focused and debt repayment-focused. A retirement security-focused program allows employees to accumulate 401(k) savings without contributing any of their own money. The latest news is the IRS approved a unique student loan repayment design that is part of a retirement plan in a private letter ruling (PLR). A company amended its 401(k) plan such that if an employee is paying off student loans (using 2% or more of their pay), the employer will put the equivalent of 5% of the employee’s pay into his or her 401(k) account pretax. The IRS concluded the program would not violate the “contingent benefit” rule under the Internal Revenue Code, which prohibits employers from conditioning other benefits on whether an employee makes 401(k) contributions. Abbott confirmed to the Chicago Tribune that it was the employer who received the PLR. The plan design is considered cost-neutral, a “pro” compared to student debt-focused repayment designs. Jeffrey M. Holdvogt, a partner at McDermott Will and Emery, told the Chicago Tribune this design doesn’t generally cost the employer any extra because the company would expect to match an employee’s 401(k) contributions anyway. Nonelective contribution was conditioned on an employee making student loan payments outside of the plan (rather than being conditioned on the employee making elective deferrals). Employees made payments directly to the student loan servicer and submitted documentation to employer. Employees could also make elective deferrals to the plan while participating in the student loan repayment contribution program, but they would not receive a match on these deferrals while contributing to the student loan program. For more on how the approved plan works, see analyses from Nixon Peabody and Bradley. 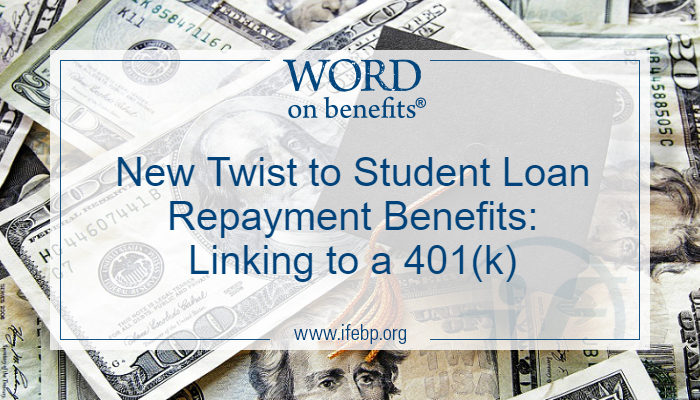 The PLR gives employers an idea of where to start with a design that links student loan repayment and 401(k) contributions. Note: A PLR may not be legally relied upon. 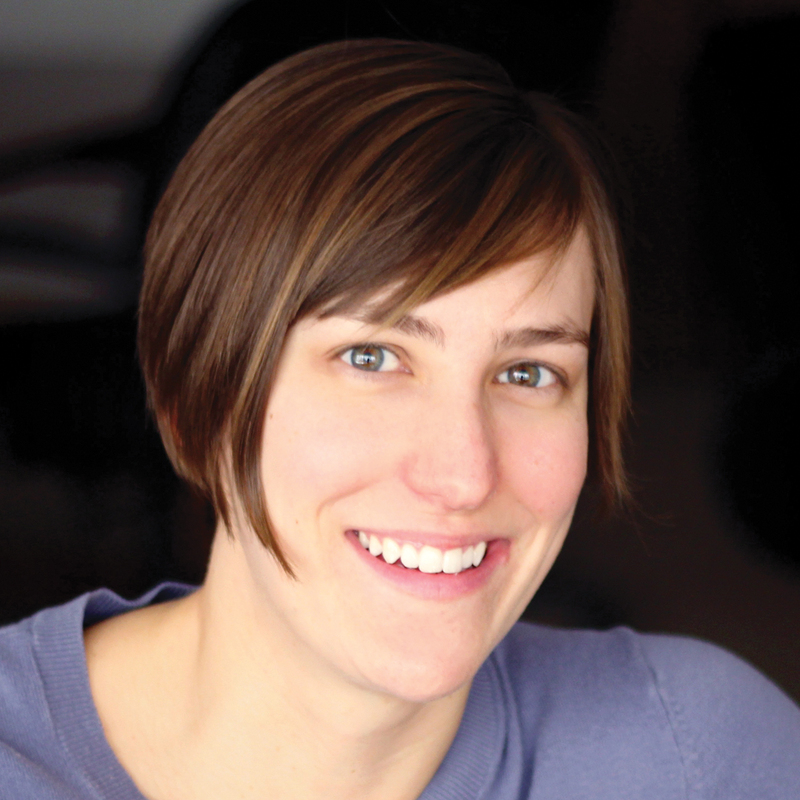 Employers with other designs may wish to seek their own IRS ruling. Companies are still exposed to tax qualification issues until the IRS provides official guidance. According to the International Foundation Employee Benefits Survey 2018, 3.8% of corporate respondents offered student loan repayment benefits, up from 2.7% in 2016. In these programs, the employer makes payments to a student loan balance. There are no tax advantages for employers or employees under current law, but this option can be seen as safer from a compliance standpoint. I’ve been tracking the news coverage and design options and this is what I’ve learned. A recent EBRI study, Student Loan Debt: Trends and Implications, confirms student loan debt has implications for overall financial security and for retirement preparedness specifically. Overall, those with student loans are more likely to have defined contribution (DC) plans than those without student loans, but they have lower balances in DC plans than those without student loans. The presence of student loans leads to lower amounts being accumulated in DC plans. Women are more likely than men to be paying toward a student loan (41% vs. 34%) according to the OneAmerica report Understanding and Achieving Participant Financial Wellness. Student debt impacts all generations. What’s Next for Student Loan Repayment Benefits: Will Congress or IRS Act? So far, the bills introduced in Congress to make student loan repayment programs tax-favorable haven’t gained traction. To date, the ERISA Industry Committee and the American Benefits Council requested that the IRS issue broader guidance to pave a path for more companies to offer student loan repayment benefits, and the IRS declined to comment on whether it was considering doing so. Time will tell if we will see more PLRs for unique 401(k) plan amendments. Developed by International Foundation Research and Publications staff. This does not constitute legal advice. Please consult your plan professionals for legal advice.